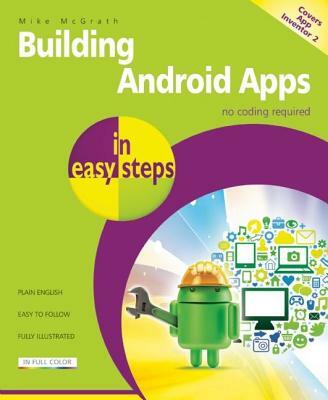 Assuming no prior knowledge of any programming language, this book is ideal for newcomers wanting to easily create apps for Android devices, as well as programmers and web developers looking to quickly expand their skill set. Starting from setting up your computer to develop and test your Android apps, the book shows how to create graphical interfaces; define application properties; add interactivity; integrate with the web; build and deploy complete Android apps and more - all using simple drag-and-drop blocks - and demonstrated here by examples. Each chapter builds your knowledge so by the end of the book you'll have gained a sound understanding of application development for the Android platform. Use Building Android Apps in easy steps to create your own Android apps without doing any coding. Covers App Inventor 2 (released December 2013).